The Cannon Capitol Series 24-gun and home safe offers a mix of unbeatable amenities and security features to make it a perfect solution for your firearms and household valuables. The safe comes in hammer tone black and includes adjustable shelving, a door organizer kit, and a chrome three spoke handle. The DIRECTOR Collection for home or home office is loaded with amenities and security features in a smaller package and an attractive colour that makes the DIRECTOR an easy choice. 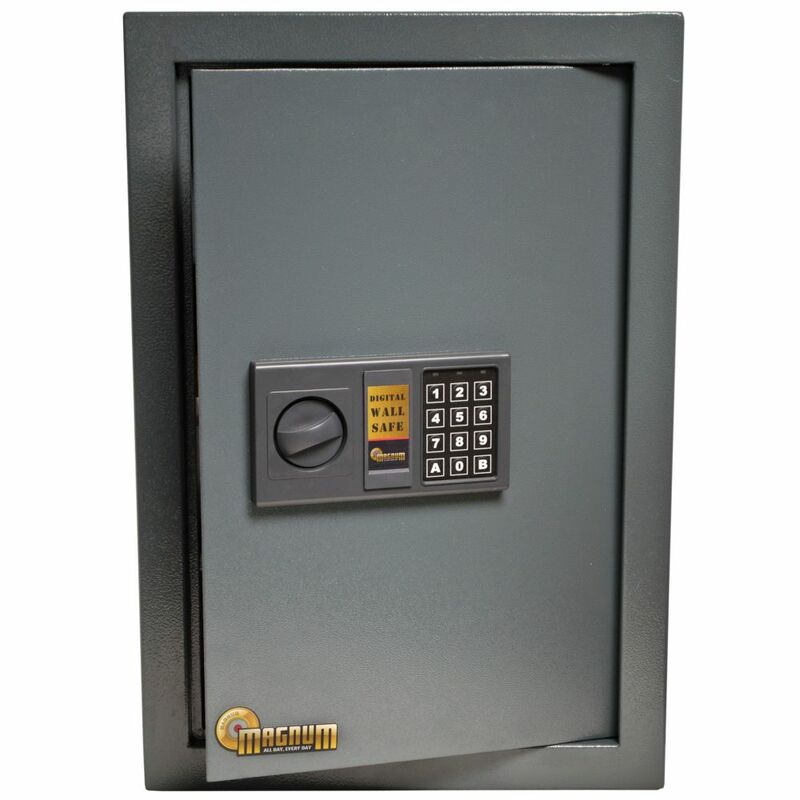 These safes include an easy access electronic keypad lock, interior lighting, adjustable shelving, and a powered media box. The SentrySafe H060ES provides the ultimate flexibility with a reprogrammable electronic lock with the option of a key pad or card swipe entry. An interior LED light makes searching for important valuables and documents easier when the safe is stored in a dimly lit setting such as a closet floor. Ideal for hotel and tenant environments, the safes solid steel construction, pry resistant door and 2 live-locking bolts help protect against unauthorized access. The SentrySafe cash box provides compact organization for cash, coins, checks and other small items. Great for use at garage sales, fundraisers or small offices. With a removable money tray, money stays organized, while the privacy key lock keeps it out of the way of prying eyes. Magnum 0.585 cu. ft. Wall Safe is rated 4.3 out of 5 by 112. Rated 5 out of 5 by JOKO Srbin from Easy to instll I got and I am ok with this product. I like it absolutely. Rated 5 out of 5 by Peter from Great product and easy installation!... Great product and easy installation! Rated 5 out of 5 by Jose60623 from Very easy to install if you own a stud finder... Very easy to install if you own a stud finder and a Ridgid Jobmax utility tool with a drywall blade.I was able to install it in our walk in closet in less than 30 minutes. This safe is built to last.